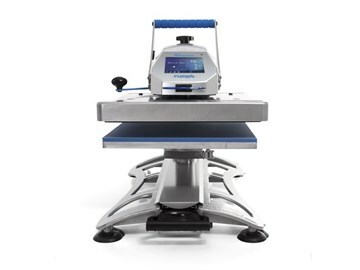 Take your heat printing operation mobile, designed to be compact for easy portability. 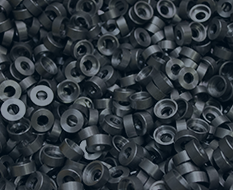 Ideal for left-chest logos, labels, and other small designs. 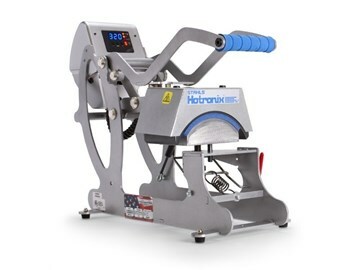 Expand your heat printing capabilities and increase production with this technologically advanced heat press, powered by compressed air. 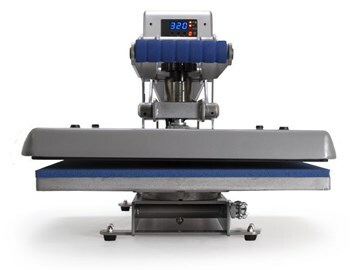 Offer team decorating from head to toe and increase add-on sales with this user-friendly cap heat press. 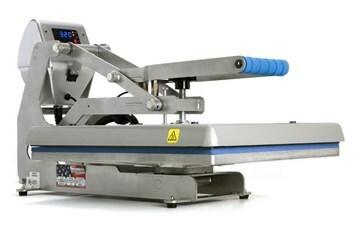 Prevent over-application and scorching with this heat press that automatically opens once application time has expired. 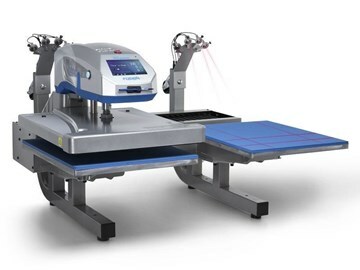 Increase production and efficiency with this two-station heat press. 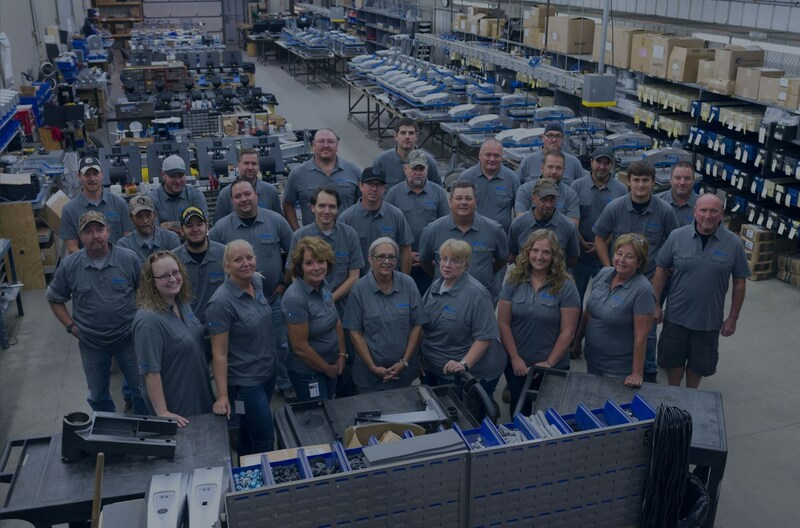 The upper platen shuttles between printing stations, allowing you to prepare one garment while printing another. 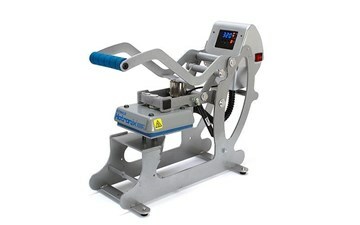 Heat print the way you like with this dual-function heat press - operate as either a swing-away or draw press. 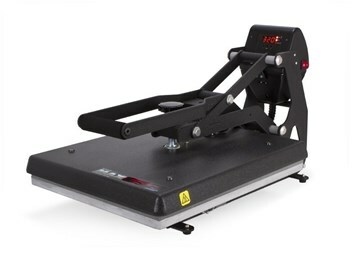 Cure ink on printed garments or apply heat transfers with this versatile heat press machine. Great for curing DTG inks! 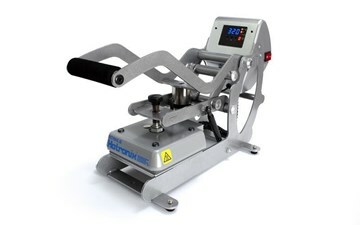 Apply patches, collar labels, and more with this compact heat press, perfect for mobile heat printing. 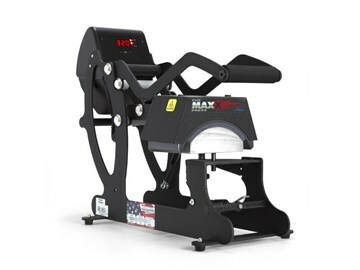 Create unique trophies and giveaways with this heat press, designed to print logos, player names/numbers, initials, and more on inflatable sports balls. 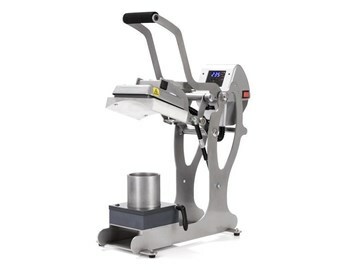 Start printing hats and caps of all shapes and sizes with this lightweight, portable cap heat press. 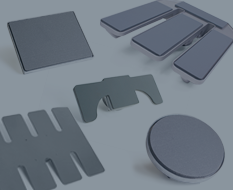 Perfect for start-ups and home businesses. 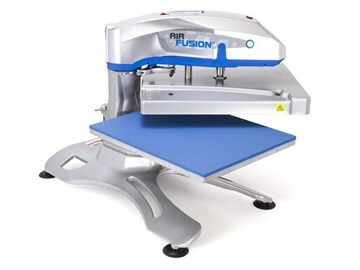 Get started in heat printing, or add a backup machine with this affordable, easy-to-use heat press.